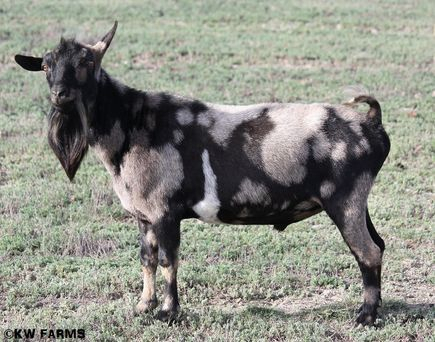 Probably the most fascinating goat coat pattern out there. 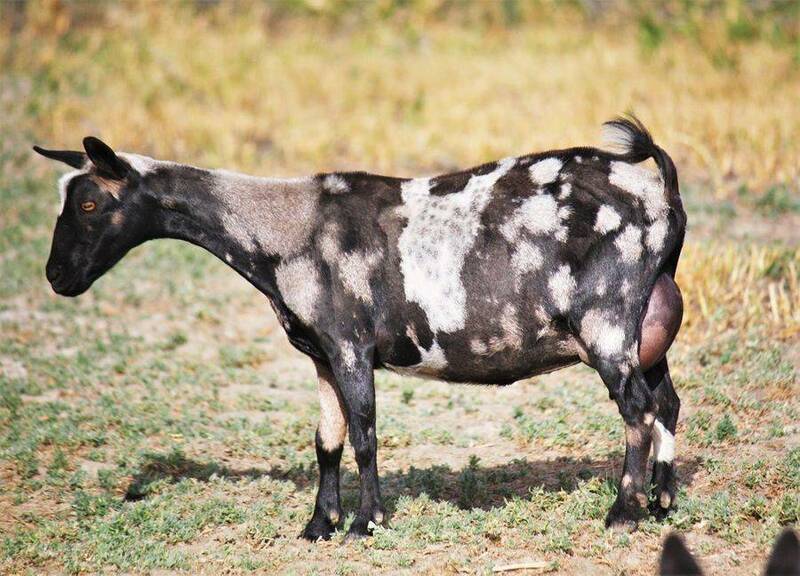 Moonspots are unique and beautiful. 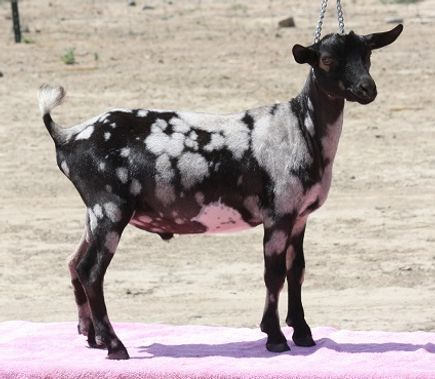 They can come in just about any color and range in size from just a few hairs to giant spots of color. 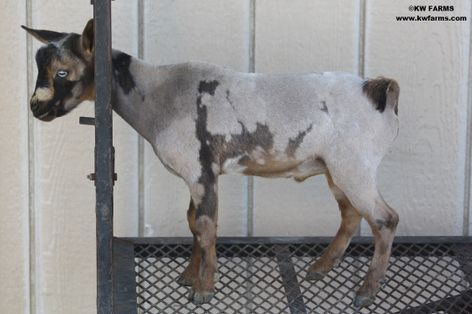 Believed to be a dominant gene, but not fully understood. 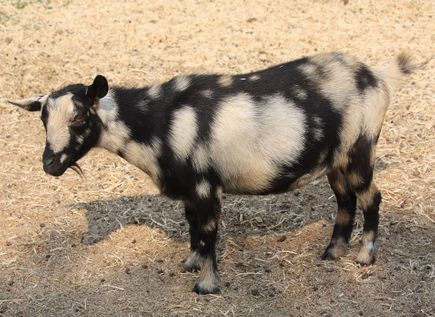 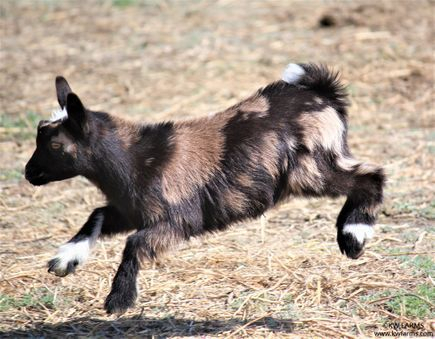 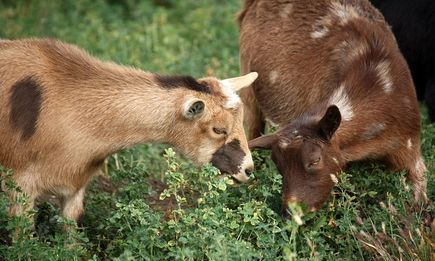 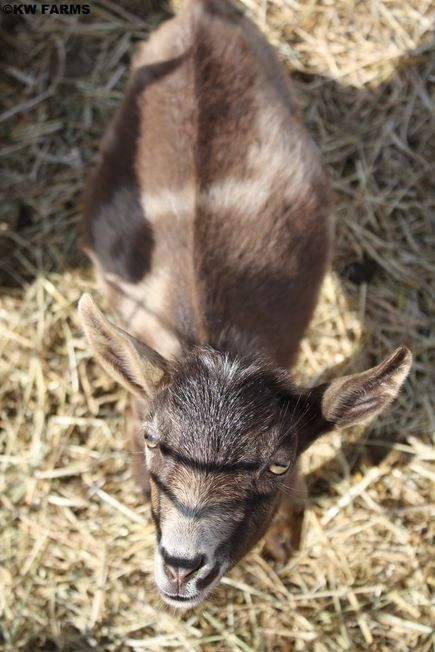 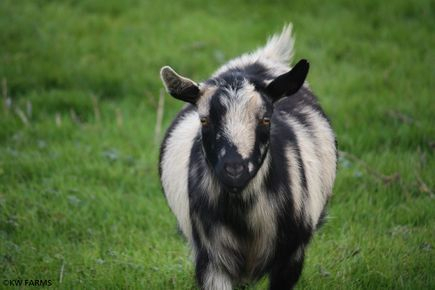 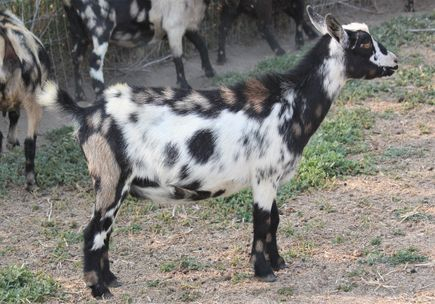 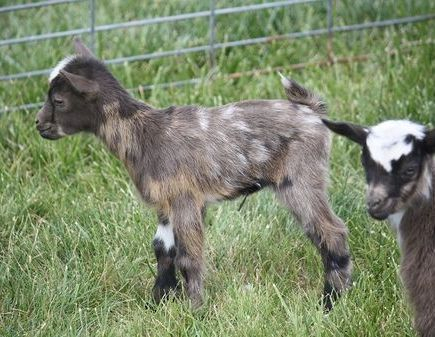 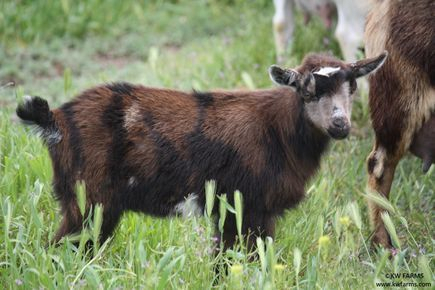 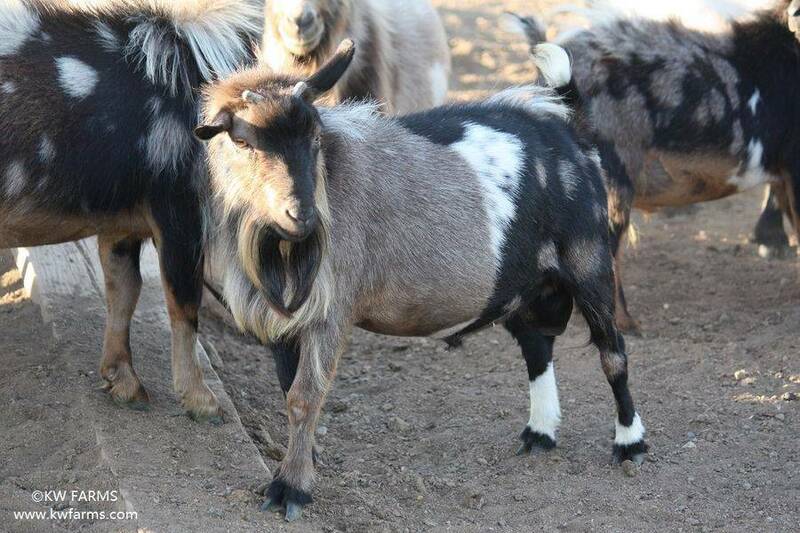 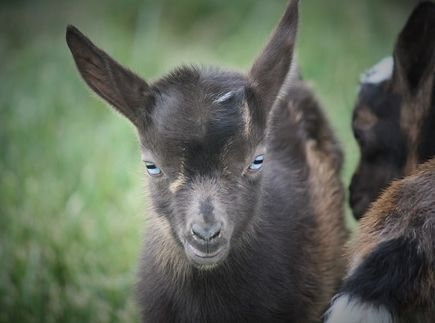 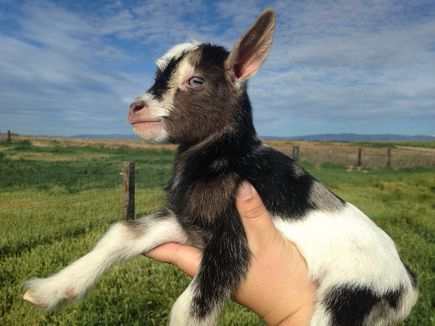 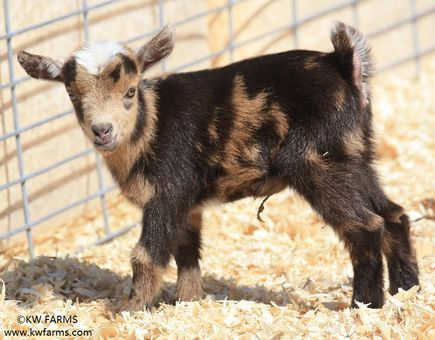 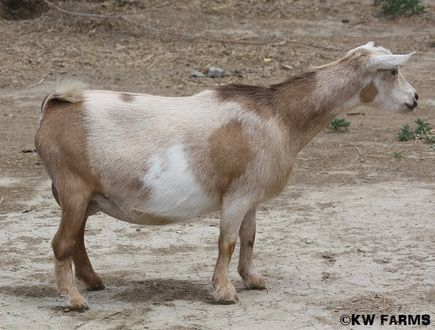 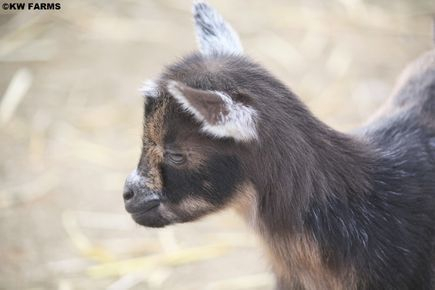 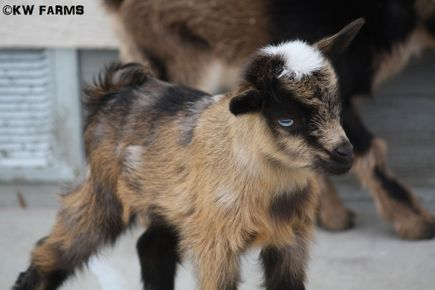 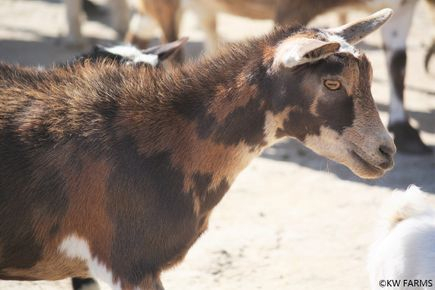 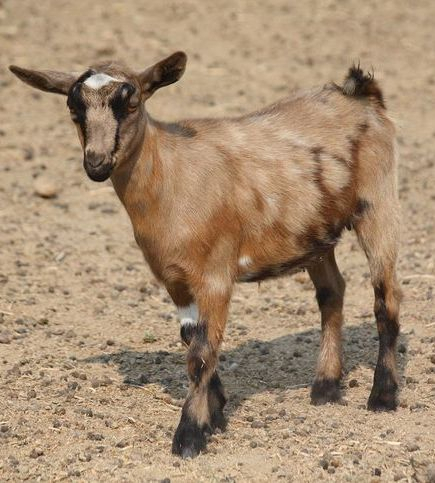 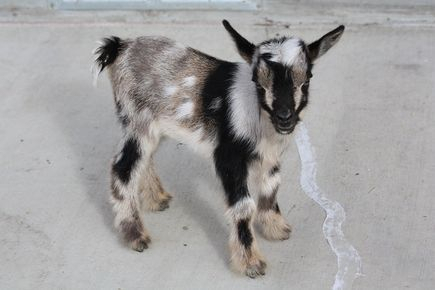 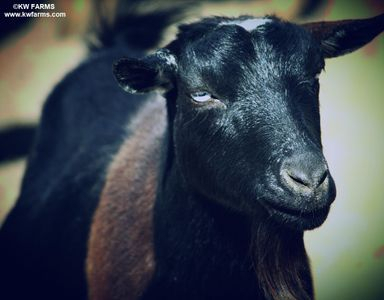 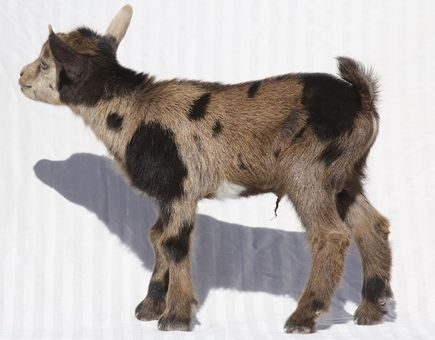 We are blessed to have many moonspotted Nigerian Dwarf Goats in our herd and wanted to share some of them with you.